Best Ultrasonic Humidifier • The Air Geeks, reviews of air conditioners, dehumidifiers and air purifiers. The ultrasonic humidifier is the quietest of all the ranges available on the market. This humidifier is particularly recommended for children’s rooms. Almost inaudible, high-frequency sound waves vibrate a metallic membrane that is present inside the humidifier. As a result, the water bursts into tiny droplets that are then distributed in the air by means of a fan. Let’s see what the best humidifier is! For The Air Geeks, the best Ultrasonic Humidifier is the model U350 by the brand Boneco. Design. The design is user friendly and the device is quiet. Refill: It's easy to refill from the top. An excellent choice for a durable device that is also very quiet. Recommended for those looking for a very good ultrasonic humidifier. Why are ultrasonic humidifiers less well known? A few years ago, the ultrasonic technology for humidifiers had a major defect: that of spreading the limestone and scale contained in the water in the air. Manufacturers have corrected this problem by equipping ultrasonic humidifiers with a descaling filter. This detail is very important when choosing a humidifier. To optimize performance, the use of distilled water is also required. 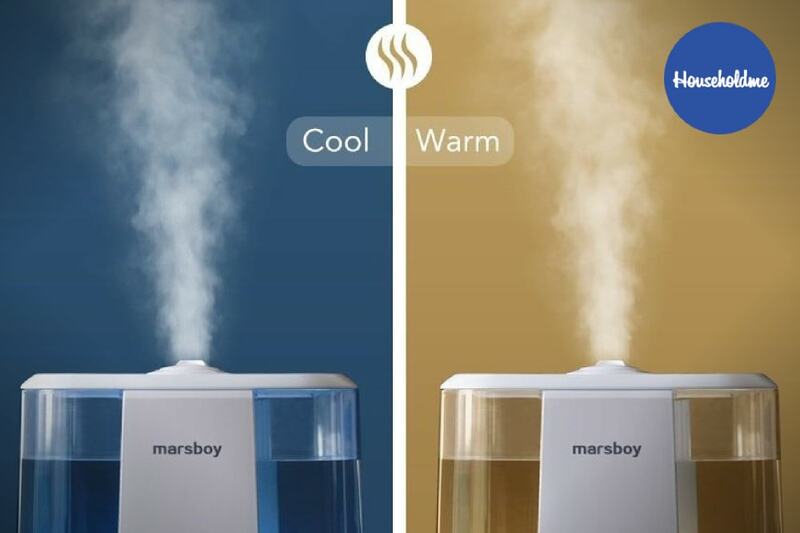 How do ultrasonic mist humidifiers work? Ultrasonic humidifiers use water reservoir, transducer, and a small part as the standard parts. To turn water into mist, a small metal plate vibrates at an inaudible ultrasonic frequency in the water to create small waves. As the resulting ripples oscillate, some water droplets gain enough energy to break away from the surface of the water. The often-fine droplets meet dry air being blown off across the surface of the reservoir and are driven out of the humidifier. The resulting air is now mist and helps to humidify the house. Not all ultrasonic humidifiers use fans to drive the mist out. This makes them some the quietest overall in the market. What does ultrasonic mist humidifiers mean? The mist droplets are very fine – up to a micron in diameter. How safe are ultrasonic humidifiers? The ultrasonic sound produced by these humidifiers does not pose any health risk since it falls under the permitted levels. However, as we have seen above, water is neither heated nor passed through a filter. This poses another problem. The fact that water is blown off along with its impurities and mineral ions means that they are also diffused into the air along with the fine mist that is generated. If tap water is used, the mineral deposits present form white dust on surfaces and this can also cause discolorations in paintings as the ions interact with the elements. White dust also settles on furniture and tile surfaces making them look ugly. If you or your family member is allergic to dust, his problems might be aggravated if exposed for a long time. Why use ultrasonic humidifier and not others? These purifiers are some of the quietest on the market. If you are particularly easily woken by the noise around 50dB, you should go for this type. You can even look for one that does not have a fan to ensure maximum noise reduction while sleeping. Small toddlers and new-born babies also require minimum noise in their bedrooms. These types of humidifiers are also very safe to use. There is no hot water usage which means if the child accidentally topples the appliance, it will still be safe from burns.